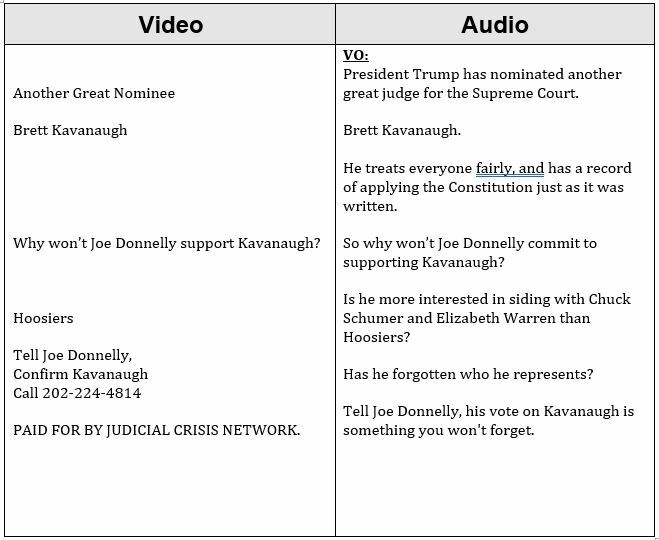 WASHINGTON – The Judicial Crisis Network today released a new ad in Indiana accompanied by polling research focused on red-state Democrats in Indiana, West Virginia, North Dakota, and Alabama. JCN’s latest ad highlights Judge Kavanaugh’s qualifications, fairness, independence, and adherence to the Constitution. 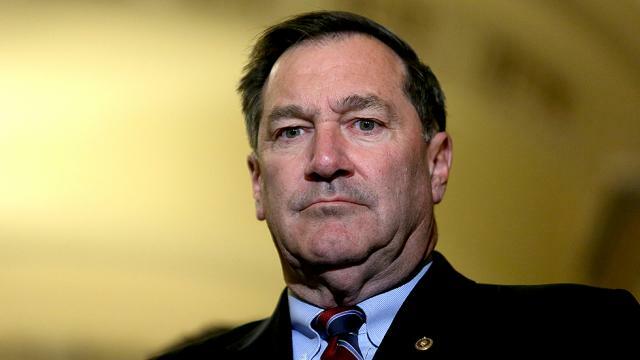 It also calls on Senator Donnelly to stand with his constituents and not with Senator Chuck Schumer and radical liberals. Accompanying the ad is fresh polling from North Star Opinion Research (Whit Ayres) that shows a majority of voters in Indiana (as well as West Virginia, North Dakota, and Alabama) support confirming Judge Kavanaugh to the Supreme Court. The polling also shows that Independents in Indiana solidly support Judge Kavanaugh’s confirmation. This is a $1.5 million buy throughout Indiana, West Virginia, North Dakota, and Alabama. Since the president nominated Judge Kavanaugh July 9, 2018, JCN has spent $4.5 million on ads with more than $2 million allocated specifically to Indiana, West Virginia, North Dakota, and Alabama. JCN’s ad buy total in Indiana alone amounts to almost $700,000 to date.